We are very proud to announce today the release of Talk Less Say More – Bonfire Night. The final album from Talk Less Say More. Its a brilliant record you should download right now. It will shortly be available everywhere you can find music online. For me personally this is a happy moment and a sad one. Its a happy moment because I think this . The last track is particularly beautiful. But it is a moment tinged with melancholy because it puts to bed a project I have been peripheral to for a lot of my life. We are very pleased and excited to announce the forthcoming release of Alight, Alight – the fourth album by Les Étoiles. It will be available here from 1st July for free download as well as on iTunes, Spotify, TIDAL and anywhere else you would want to listen. Alight, Alight is Les Étoiles’ most beautifully unadorned album. With only sparse piano arrangements for accompaniment, these songs have a quiet intensity that brings to mind not only the solo work of Talk Talk’s Mark Hollis but also early Low at their most austere. Alight, Alight is a collection of thoughtful reminiscences of time spent in Wales, London and Shropshire and, in the case of ‘Where We Will Live’, a dream of an idyllic life in rural Italy. Featuring songs both old and new, with only the opening track ‘Empty Carriage’ having been heard before, Alight, Alight serves as a fitting retrospective of David’s songwriting to date. Even the title recalls that of his first album and suggests the closing of a circle, or the completion of a long journey home. To coincide with the release, Les Étoiles will be performing at the Gallery Café in London on Saturday 2 July. In November 2014 Les Étoiles filmed a series of three live performances at the Great North Railway Tavern in Hornsey, London. Filmed and edited by James Taylor and Chris Loy, I am sure you will agree they are quite beautiful renderings of Les Étoiles songs, presented here in glorious high definition. Hearty thanks to them. Thanks also to the staff of the pub who put up with us taking over their gig room and being patient when we had quiet on set. We are extremely pleased to announce a new EP from Les Étoiles, entitled Your Roots, Your Bones. The five track EP will be released on the 14th of November 2014 and there will be a launch event that we will let you know about nearer the time. Like everything Les Étoiles records it is a tremendous work of careful minimalism, tender lyrics and attention to detail – truly autumnal in composition. In addition to this, Les Étoiles has made a gorgeous video for the title track. The piece is not filmed, but is the result of stitching together hundreds of high speed photographs taken on the Severn Valley Railway in Shropshire. If you like it, please help us distribute it as widely as possible by sharing it on social networks you might use. This is the first in a series of video pieces from Les Étoiles and is Records On Ribs’ first real foray into the medium. Here at Records On Ribs we are very excited to announce three upcoming records. The first is the debut full length from Nottingham based Surfacing. Eponymously titled, this is an intriguing, experimental record melding together everything from black metal to folk to Hessle Audio style minimalist post-dubstep dance. 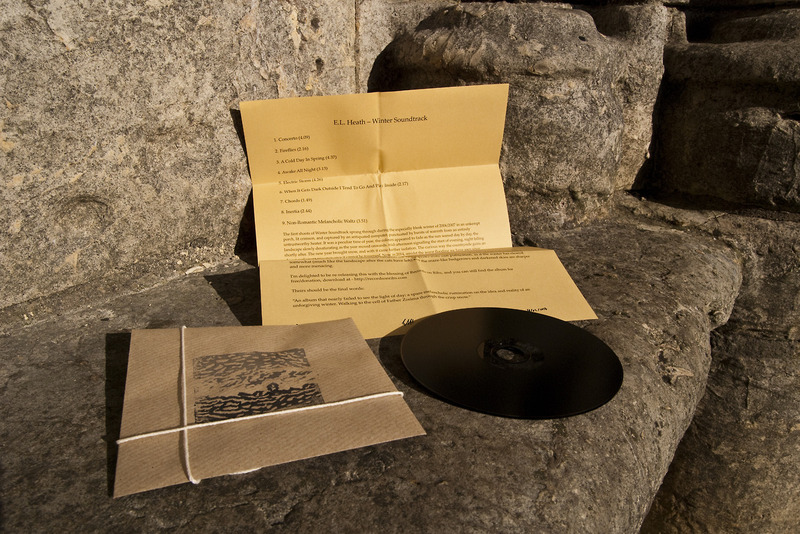 It also features ROR co-founder David Bell on vocals and laptops. Second up, avant-metal sorts All The Empires of The World are bringing out two records in quick succession very soon. The first is Sunscraper – which is as euphoric and symphonic as it is sublime and ridiculous. Sunscraper goes where few albums would dare to tread; a masterpiece of doom metal that effortlessly plumbs earthly depths and scales celestial heights. It’s emotionally powerful too: by far and away the most vocal-centric Empires album yet, it expresses both desperation in the face of eternity and immense joy in love and human kindness. There are some lovely moments here that head towards folk. The second is CVRSES Without doubt this is the heaviest All the Empires album yet, and that’s saying something. The bone crushing enormity of their earlier albums is retained, but there’s a newfound ferocity and desperation on display too. Its bleak, fast as hell and throughly magnificent. We’ll have a sampler of both records ready for you very soon. Records on Ribs is just over 6 years old now. 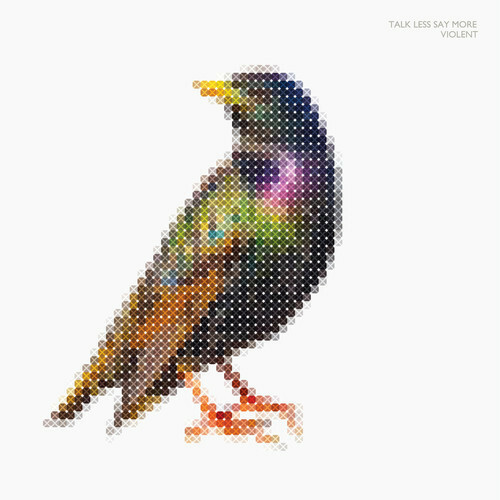 Our latest release – Talk Less Say More’s Violent – is flying off the shelves. Cerebal Rift gave it a whopping 9/10 with praise for its songcraft, its production and – well – lots more besides. And now you can go back in time to those halcyon days of 2008 when EL Heath’s Winter Soundtrack was released by popping over to Eric’s own Plenty Wenlock label and buying a limited edition CD version of that fine album (see pic above), which has been remixed by Eric and remastered by Mike Rowley (epic45, The Arm, Component#4) for the occasion; and which comes in a handmade paper sleeve hand-stamped with new artwork by Victoria Clinton Fine Art. Here’s to another 6 years! 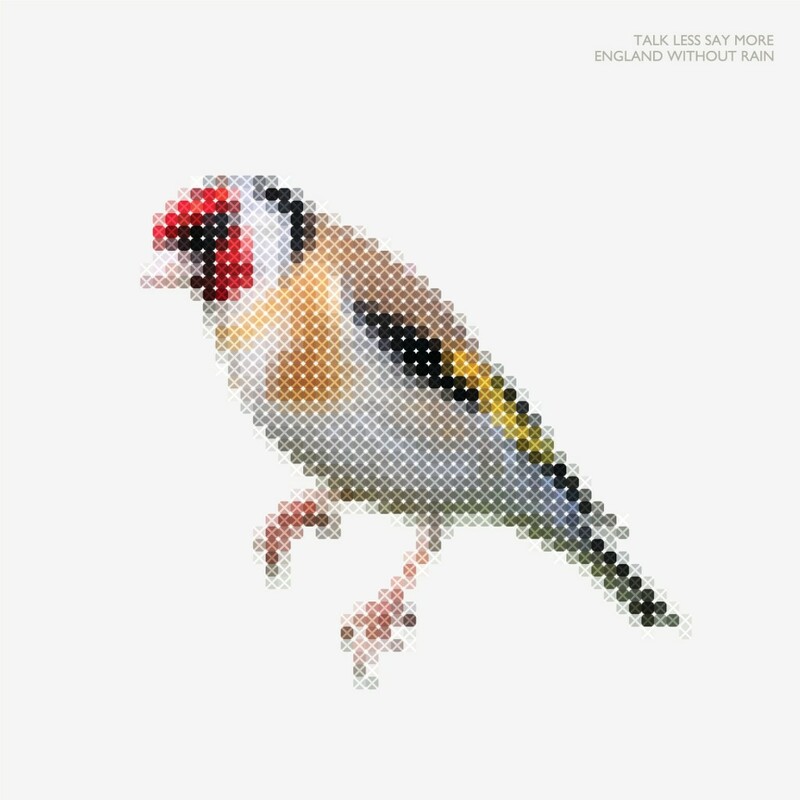 We’re delighted to announce that we’ll be releasing Talk Less Say More’s album Violent in February of next year. The follow-up to 2012’s critically acclaimed England Without Rain, it’s another stonking record full of hooks, curveballs and hands-in-the-air triumph. Like its predecessor, though, there’s a darkness (a violence, even) lurking in the background. With an expanded instrumental palette and stunning songwriting we’re confident you’ll love it. It’ll be released on 9th February as high quality MP3/FLAC and on CD. This year has been a relatively quiet one at Records On Ribs towers. Yet we still managed to put out perhaps our most critically acclaimed release to date, Talk Less, Say More‘s England Without Rain. But don’t take our word for it. England Without Rain was named by Fwonk* as Number 1 in the Top 10 Netaudio Releases Of 2012.
a netlabel release without parallel anywhere. In fact this is the best record of the year, period. It hasn’t been off my MP3 player since it was released. This album doesn’t contain a duff track, a bum note or a single foot wrong. It’s perfect. It redefines and reclaims pop music as a genre – begone you Simon Cowell generated karaoke-bots, begone you factory assembled hit machine girl bands! This is original, electro-pop music as a work of art, something that is lovingly created, rather than cynically, synthetically packaged. This album absolute pings with imagination, creativity, wit and it’s impossible not to get excited by that. Part of this is precisely what we have always tried to do with Records On Ribs: produce music using this distribution model that is better than music available elsewhere. So if you haven’t heard it yet, have a listen to England Without Rain through download right now. 2013 marks the 5th year of us doing Records On Ribs. For old times sake, here is what the preview home page used to look like! We’ll be celebrating in style, but watch this space as to how! 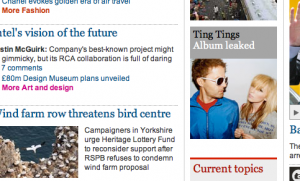 Today one of the music stories doing the rounds is the leak of The Ting Tings album, which has apparently made its way onto file sharing networks. This is the latest in a long line of leaks. I would suspect, despite attempts to stall through copy protection, most records are now leaked prior to release. This is the reality. As Records On Ribs is in part an experiment with “being a record label” this made me consider some things. At ROR we still believe in release dates, even if just for the moment. Some of our artists are happy for us to just put their music out, but others, we feel we need some lead in. Simply, a release date gives you a calendar and a moment in your mind to work promotion towards, get things ready and produce any physical copies in a timely fashion. So the release for our next record, Talk Less, Say More‘s England Without Rain is the 26th of February. Unless you are Radiohead and can just throw up a blog post and let the internet do the rest, if you want the release to reach as many ears as possible, which is always our intention, you need to do promotion, so a release date sets out the mental map. Although we [Records On Ribs] allow file-sharing as all our releases are distributed under a Creative Commons License, we ask that you use your use common sense when distributing material that is unreleased. Today’s leak got me thinking about this. These thoughts are naturally sketchy, incomplete and likely have their serious flaws and incoherence. But they effected a change in policy here. Why do people leak records? I’d imagine there are a few motivations, motivations which I think are likely slightly different from sharing in general. The first, which I’d imagine is the most common: genuine fandom and love of the music to the point you want others to hear it. This seems to be the case for the Ting Tings release, where the band were only informed by checking their @ replies on Twitter. The second reason is to do with the file-sharing community in general. Simply put, early leaking records carries a great deal of respect in these circles. I’ll leave the second reason aside of this to one side for the moment, as it would take me far outside the remit of this blog post and deal with the former reason. Sharing music in advance is somewhat of an effort. At the least, it probably requires ripping the CD, uploading it, tagging and so on. Putting my artist hat on for the moment, if people felt sufficiently enthused by my music to go through this, I would be flattered, not offended. Another interesting fact: the people who do the most leaking are journalists, likely. Their motivations would be interesting to consider on this. Yet this is perhaps naive. There are obvious reasons why people take the opposite stance. The most obvious reason is commercial, some of the issues we have discussed before on this blog. A leak is not massively different from any para-legal file sharing in this regard, though likely more irksome as it undermines promotional efforts and makes the record less “fresh” when it does reach the release date. I think some of this is fixation in the mind of the artist on “my record will be out then”, its a little like people opening their records before Christmas, the trashing of effort for a certain day and surprise. The other issue is the leaking of unfinished material that does not represent the final vision of the artist involved. This to my mind seems significantly more annoying, though also reflects a hunger for your music that, looked at awry, could also be flattering. 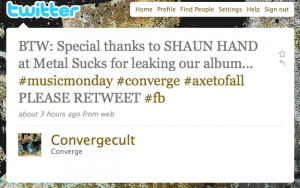 However, in terms of promotion of the record, a well placed leak might do it no harm at all. Not only does it have the (undeniably complex) promotional effects of file sharing in general, but it also creates a buzz around an artist. 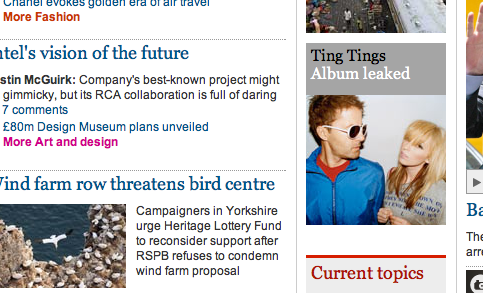 The Ting Tings album, for one, took a gigantic leap to the front page of The Guardian website. Before this, I wasn’t even aware of the record, or that this artist were still making music. Now at least I am aware of its existence and will likely listen to the singles in passing. Whatever the subjective stance of the artists in this case (they were annoyed) the objective result is a bump. Records On Ribs operate a pro-leak policy. If you are listening to this record prior to release, if you like and want to share it, please do so by leaking it under the terms of our standard Creative Commons License. Thanks a lot, we appreciate it. 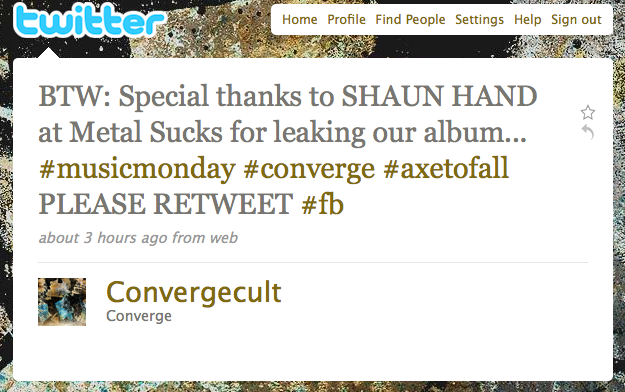 If you leak our records, we’d be pleased. So if you get a chance to leak England Without Rain (out on the 26th of February), knock yourself out. Extra points go to ripping the stream from SoundCloud and uploading it to YouTube. Of course, you else can listen to the album below before MP3/FLAC/Ogg downloads and physical copies are available on the 26th.